Most people with synesthesia can't tell you exactly why they perceive the letter M as purple and not orange, or a high C-sharp as bright yellow and not blue. For one group of synesthetes, though, there appears to be an answer. For their green D's, red G's, and so on, they can thank the toy company Fisher-Price. Stanford researchers Nathan Witthoft and Jonathan Winawer discovered, through word of mouth and from synesthetes contacting them online, a group of people who share a "startlingly similar" set of letter-color associations. Out of the eleven subjects, ten remembered owning (or still owned) a particular set of alphabet refrigerator magnets that was manufactured in the 1970s and 1980s. Subject S1 was carrying around mentally a perfect replica of the Fisher-Price letters, as the authors report in Psychological Science. The others had some differences—but were close enough to the toy's colors that, the researchers figure, it can't be a coincidence. All eleven subjects also had number-color synesthesia. For the numerals 0 through 9, five of these people turned out to have color associations that matched sets of magnetic numbers sold along with some Fisher-Price alphabet sets. Witthoft and Winawer don't think the magnets themselves made anybody synesthetic. But among this group of people who became synesthetic (and they may have been predisposed; it runs in families), many of the associations they learned came from a childhood toy. Not that synesthesia should be confused with memory. Someone with synesthesia doesn't recall the color green when he sees the letter K the same way he sees Kansas and recalls that Topeka is the capital. Instead, synesthetes automatically experience that color when they read that letter or number (or experience a taste when they hear a sound, among other rarer combinations). Some even see the color on the page. The authors say that the case of the Fisher-Price magnets shows synesthetic associations can be learned, rather than plucked from nowhere by the brain. "The idea that the colors would be learned has been around for a long time," Witthoft says, "but it has been difficult to turn up any examples." In this case, a mass-produced toy—combined with the powers of the Internet—helped. But they don't think most synesthetes learn their associations from objects around them. These people appear to be, the researchers write, "anomalies among the anomalous." 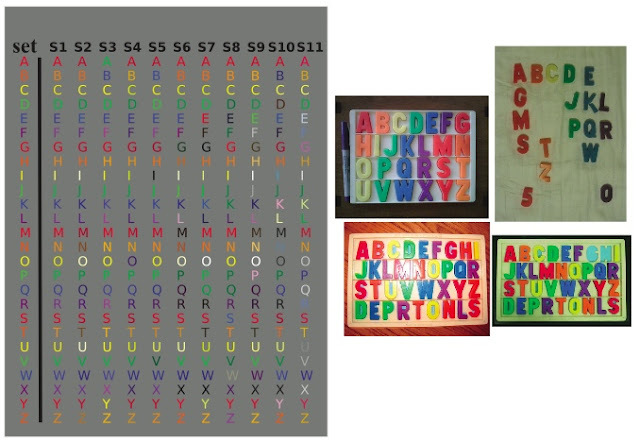 When the colors of these subjects' mental alphabets differed from the Fisher-Price letters, it was often in ways that made them less anomalous—that is, more like the synesthetic population in general. "Color-grapheme synesthetes as a group have some shared tendencies," Witthoft says. For example, 40 to 50 percent of English-speaking synesthetes associate the letter Y with yellow. Out of three subjects in this study who deviated from the red Y of the magnets, two went to yellow. It's also common to associate the letter X with black, as four subjects did (deviating from Fisher-Price purple). Besides yellow Y's, studies have also found a lot of red R's, blue B's, and violet V's among synesthetes. These associations seem to come from language. The origin of most connections, though, is still mysterious. One study, Witthoft says, argues that the brightness of a synesthetic color is related to how common that letter or number is. 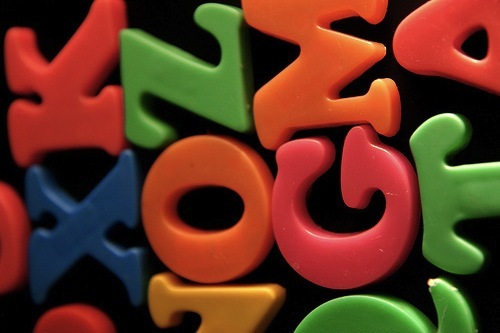 Other research "suggests that letters with similar shapes end up with similar colors." And in some types of synesthesia, he says, there are hints that the associations come from some basic way the brain is set up. For example, "pitch-color" synesthetes tend to see higher pitches as brighter colors. Non-synesthetes, if asked, make the same connection. For now, childhood toys seem to be only a small part of the answer. To help dispel more of the mystery, you can take tests for synesthesia at synesthete.org—even if you weren't a Fisher-Price kid. Images: Manon Paradis (Flickr); Witthoft & Winawer. Interesting, I have always suspected something like this. But while my A is red, none of the other colors match. For me, A-B-C-D-E is red, blue, black, brown, green. Wonder what toy I got that from. Red A's are really common! I've always wondered if it's because A's are often red in children's toys (first color in the rainbow), books (A is for Apple), etc. ...The idea of this study, though, is that MOST people don't learn their synesthetic alphabets specifically from a toy. This is an interesting take on the psychodynamic perspective of psychology. Although, people don't necessarily remember much of their early childhood (due to the underdevelopment of the hippocampus and the inability to form semantic meanings for the events they experience at such a young age) Synesthesia is a good example that shows how what we experience in early childhood continues to affect us in our adult life. When growing up and trying to learn the elementary things like letters, numbers, and colors kids use these colored magnet letters to learn how to make words. From the psychodynamic perspective it may be perceived that the color-letter association may come directly from our early exposure and association of those colors and letters. The same can be said for associating sounds with objects or events. So did anyone ask the folks at Fisher-Price if the person that developed the alphabet color scheme was him/her-self a synesthete? And the role of proximity to magnets in childhood? I wonder if the commonly red A might also be because of the scarlet letter - though most people don't read that until later in childhood. This is a really interesting article! And I loved those letters as a kid. I am not sure if I'm one of the 11 or not - I did take some tests on synesthete.org about a year back...but I do have this exact condition (same set of magnets) and always thought I was the only one! Cool.